On Anthem of the Seas, there are plenty of venues and genres of music from which to choose. 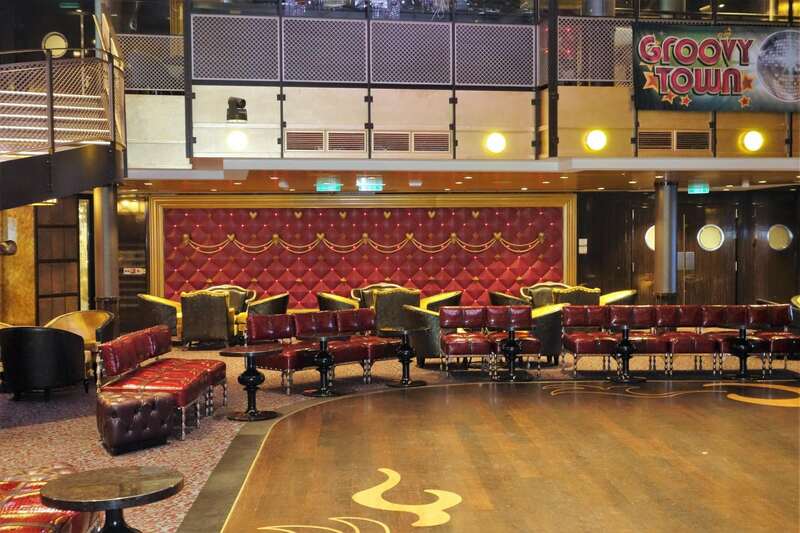 From Latin dance music in Boleros to standards and classic bar tunes on the piano at the Schooner Bar, those loyal to Royal Caribbean will feel right at home at some of these popular venues. However, new on Quantum class ships is the Music Hall, a two story mecca to rock and roll music. The Music Hall on Anthem of the Seas, located on decks 3 and 4, ushers in a new era in cruise entertainment. 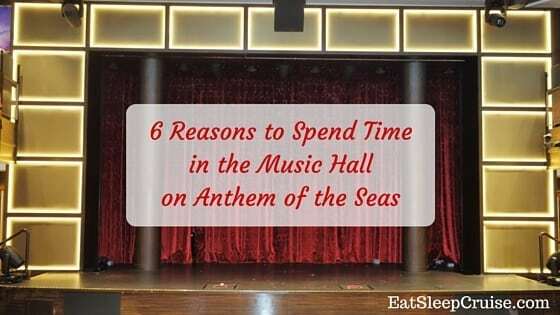 After sailing on this new ship for 5 days, we give you our 6 Reasons to Spend Time in the Music Hall on Anthem of the Seas. On deck three of the Music Hall on Anthem of the Seas, there is a huge stage that comes alive with various entertainment each night. In front of this stage is a good sized dance floor, so grab a partner and get ready to dance the night away to your favorite hits at this edgy venue. There are also several dance classes offered during the day including country line dancing, Latin dancing, and a Thriller dance class. 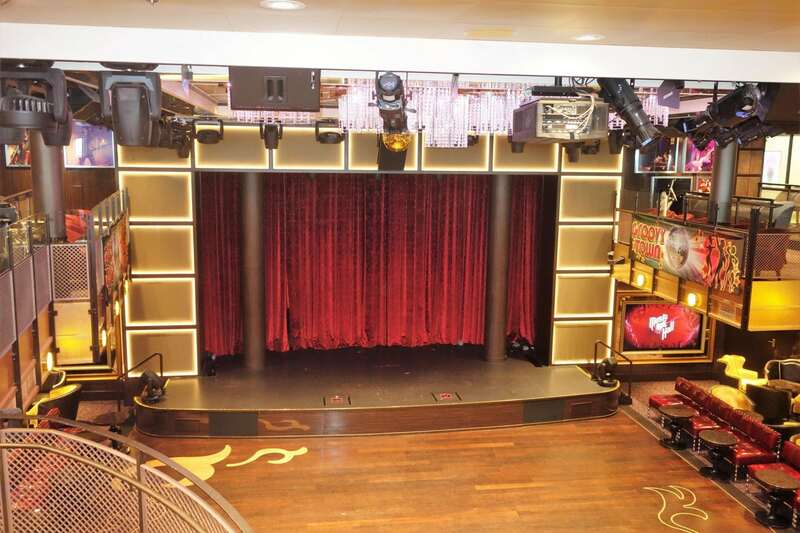 The Music Hall on Anthem of the Seas boasts 2 bars, one in the back of deck 3 and another on deck 4 overlooking the stage. These bars can get busy at night, but don’t let that deter you because they offer a great specialty cocktail menu. 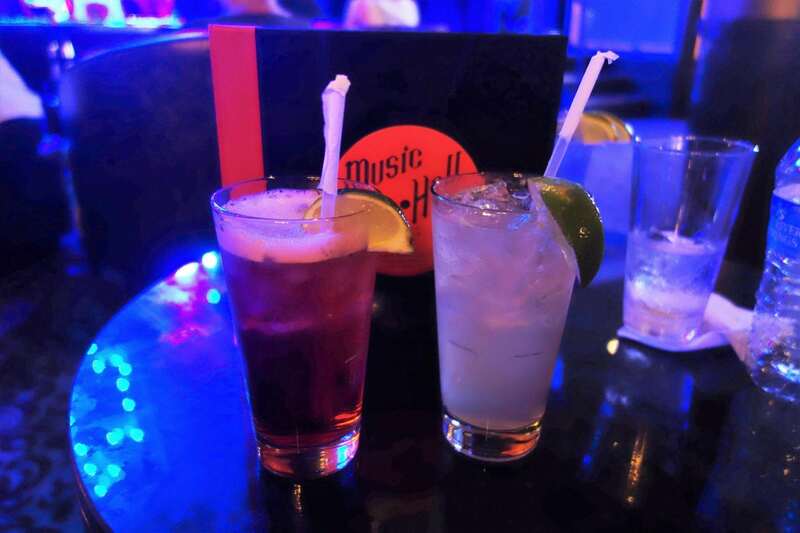 The Music Hall’s cocktail menu is very unique with offerings named after musical acts and genres, so be sure to sample them all. Some of our favorites were the Metalliquor and Whiskey in a Jar. 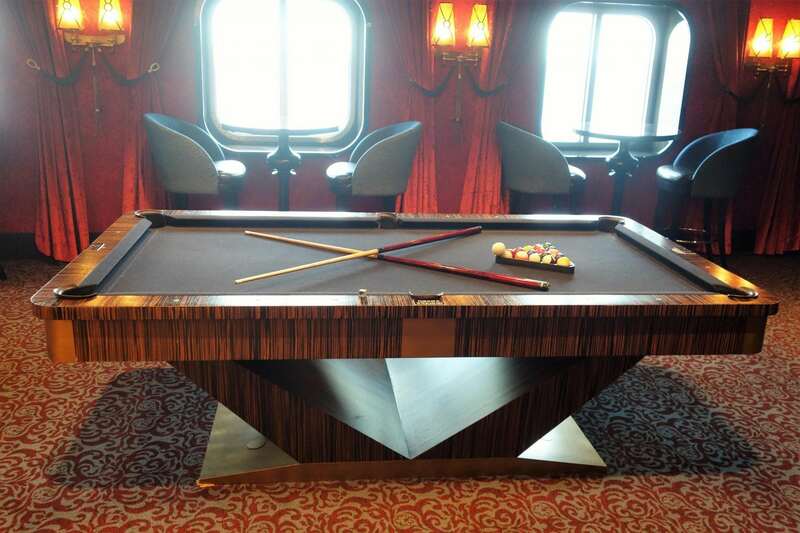 On deck 4, behind the bar, the Music Hall on Anthem of the Seas also has self-leveling pool tables. While neither one of us are good pool players, it is certainly another one of the many fun activities to enjoy while sailing on Anthem of the Seas. These pool tables are first come first serve and are available for anyone to use at no additional costs. 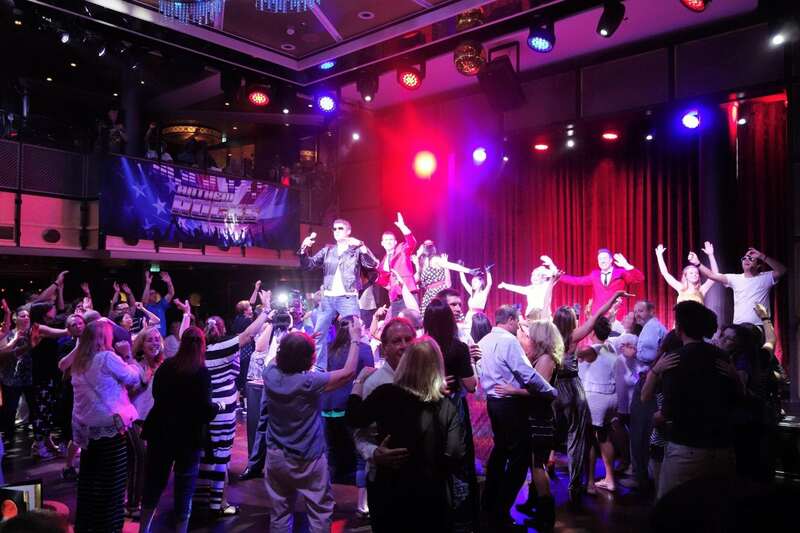 The Music Hall on Anthem of the Seas hosts several parties during the cruise including Groovy Town, Anthem Rocks, and the Silent Party. Groovy Town, an interactive dance party with live music and singers and dancers, takes you back to the 70’s era complete with platform shoes and leisure suits, while Anthem Rocks highlights all things rock and roll across the decades. During the Silent Party, grab your headphones and sing along to mixes from either of the dueling DJs. If you’d prefer to be the center of attention in the Music Hall on Anthem of the Seas, then be sure to participate in one of the karaoke sessions offered during your cruise. If singing is not your forte, then maybe you’ll want to show off your skills in one of the many game show competitions including Finish That Lyric, Majority Rules, or If You Know it Dance it! Either way, you are sure to have a blast. 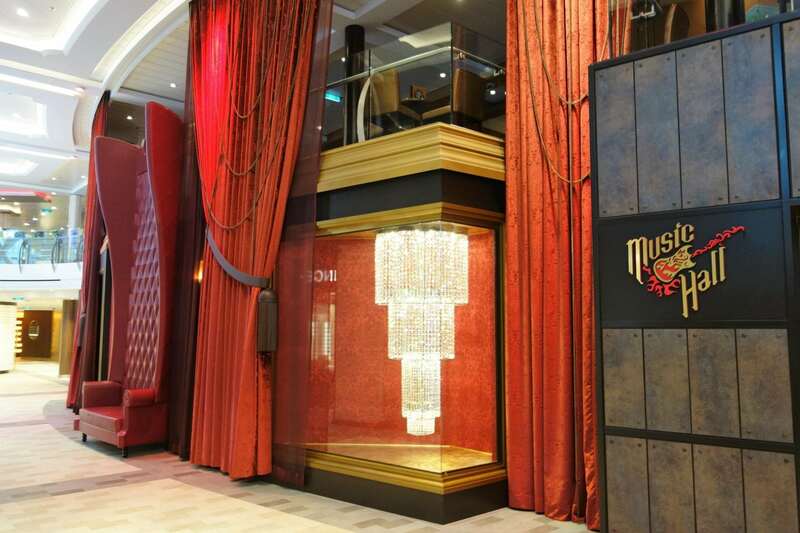 The real feature of the Music Hall on Anthem of the Seas is the music of course! More specifically, the Tribute Bands. 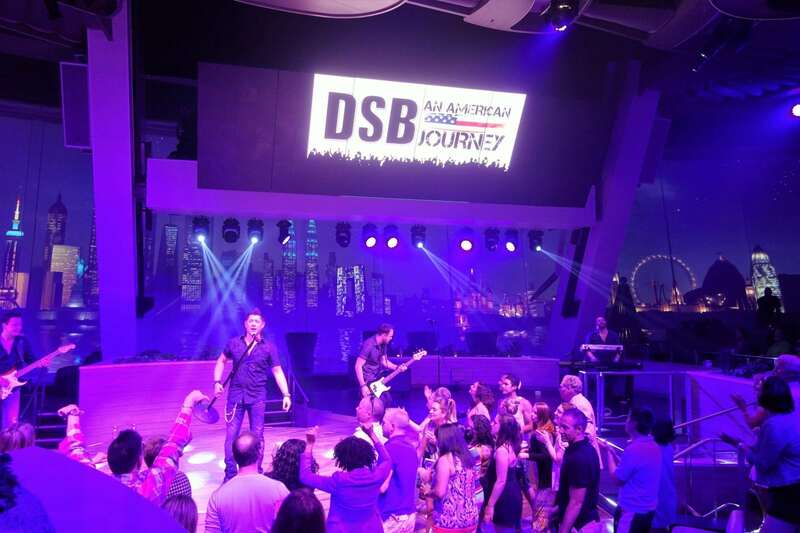 These cover bands of popular rock legends like U2, Bon Jovi, Aerosmith, and Journey rotate on and off the ship providing nighttime concerts in the Music Hall. We saw Wanted, the Bon Jovi tribute band, on Quantum of the Seas and DSB, the Journey tribute band, on Anthem of the Seas. Both of these musical acts were fabulous and definitely our top reason why you should visit the Music Hall on Anthem of the Seas. When sailing on Anthem of the Seas, get ready to party in the Music Hall. 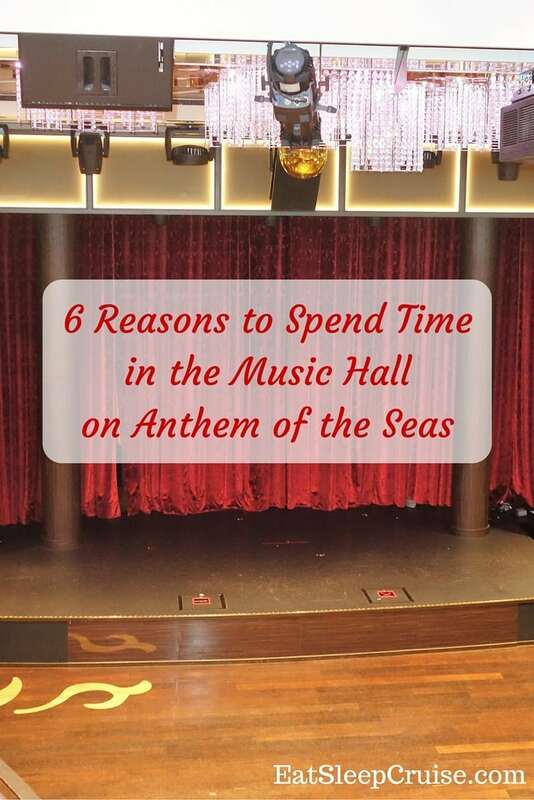 With themed events, rock and roll music, great cocktails, and live tribute bands, you will certainly enjoy spending your evenings in the Music Hall on Anthem of the Seas. It is truly a venue unlike any other you have experienced on a cruise. Have you sailed on Anthem of the Seas? What are some of your reasons to visit the Music Hall? Drop us an anchor below to tell us about your experiences on Anthem of the Seas and what you thought of the Music Hall, Tribute Bands, and more. Thanks for the great tips! Although I haven’t sailed on Anthem yet (anxiously waiting for my November 27th 12 day sailing) my husband and I sailed on Radiance of the Seas last September on a 10 day cruise to Hawaii and participated in their Thriller Dance. It was so awesome and so much fun! We rehearsed for 5 days in a row and the night before we arrived in Hawaii we performed it for the passengers. We plan on doing this on Anthem. We actually dis an awesome job as a group! There were about 50 people!